A little bit sweet, a little bit savory—this twist on the classic shortbread recipe is just different enough to keep things interesting. 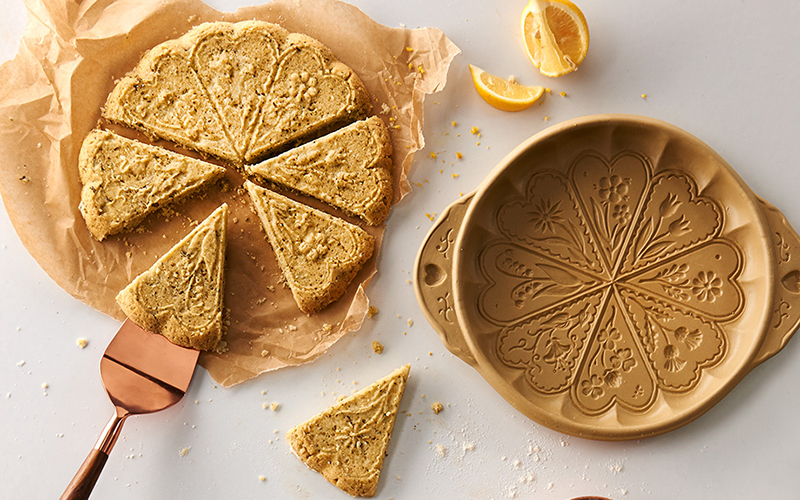 Bake the cookies in an embossed shortbread pan, and your gorgeous little goodies will look as delectable as they taste. 2. Place sugar, salt, and flour in a food processor and pulse to combine. Cut butter into ½-inch chunks, add to the processor, and pulse until butter is evenly distributed and dough holds together when pinched. 3. If using a shortbread pan: Knead the dough on an unfloured board until nice and smooth. Spray the shortbread pan lightly with a nonstick vegetable oil spray. Firmly press the dough into the shortbread pan. Prick the entire surface with a fork and place the pan in the oven. Bake for 25 minutes, or until lightly browned. Let the shortbread cool in the pan for about 10 minutes before you loosen the edges with a knife and flip the pan over onto a wooden cutting board. If the shortbread does not come right out, tap one edge of the pan. Cut the shortbread into serving pieces while it is still warm. If you don’t have a shortbread pan: Dump the dough onto parchment paper and form into an evenly thick rectangle. Roll out with a lightly floured rolling pin until the rectangle is 6 by 8 inches. Using a straight edge as your guide, cut the rectangle crosswise into 1-inch strips and then cut it in half lengthwise to form a total of 16 1-by-3-inch cookies. Prick each cookie 4 times with the tines of a fork. 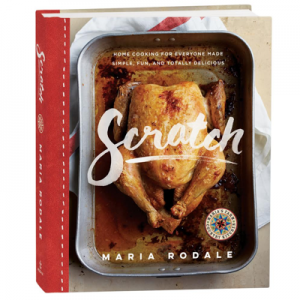 Carefully place on a baking sheet lined with parchment paper. Bake for 23 to 26 minutes, or until the cookies are set and not yet browned, but are just starting to turn golden. Cool on racks before serving. Store in an airtight container. Note: Shortbread tastes wonderful flavored with almost any combination of savory herb butters. Two favorites are Sage-Orange Butter (use 2 packed tablespoons torn sage leaves and 2 tablespoons grated orange rind per ½ cup butter) and Basil-Lemon Butter (use 4 packed tablespoons torn basil leaves and 2 tablespoons grated lemon rind per ½ cup butter). Adapted from recipe originally published on RodalesOrganicLife.com.